This is the third collaboration of Baldwin (co-author with Genevieve "Sister" Peterkin of the beloved memoir, Heaven is a Beautiful Place) and Hill (founding director of the Village Museum in McClellanville). 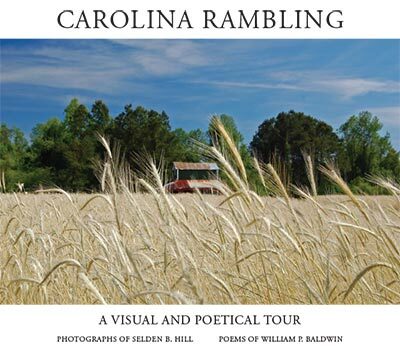 In the tradition of previous collections -- The Unpainted South and These Our Offerings -- Carolina Rambling shares a touching elegiac look at the Lowcountry's holy places -- from abandoned homes, disintegrating barns, tiny churches and forlorn cemeteries to the shrinking livelihoods of farms, cotton and shrimp. Word and image pictures of small town, rural South will fill your heart with joy and longing. The complementarity of Bud's photographs and Billy's poems is a match made in heaven. Nostalgia, beauty, grace and wit and with faults included: presented here is a vanishing South. Don't rush through this book. Ramble. This is not your stereotypical gay-hairdresser-addict-convict story ... if there is such a thing. In the vein of Augusten Burroughs and Jeannette Walls, "Lost and Found" is a harrowing tale of survival in a world hostile to diversity. 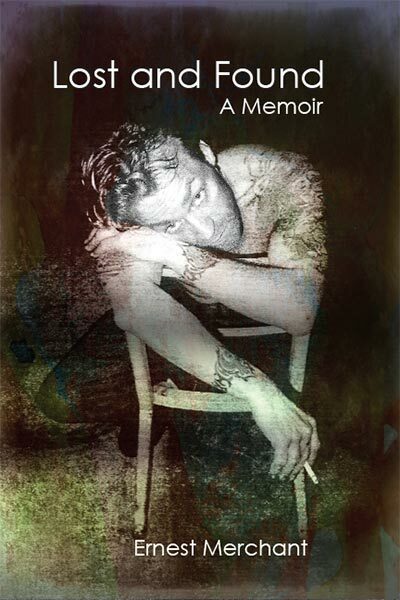 The memoir spans five decades, from the young boy whose search for identity and self-empowerment begins with the haunting observation, "there are no pictures of me as a baby," through a dark, spiraling vortex of bad decisions, while "looking for love in all the wrong places." With unflinching candor, Merchant explores the issues of sexual diversity, drug addiction, crime and punishment, and social prejudice. His sardonic humor and clear-eyed honesty take the reader on a dangerous journey, battling the demons of self-destruction -- a war that turns out to be surprisingly uplifting. 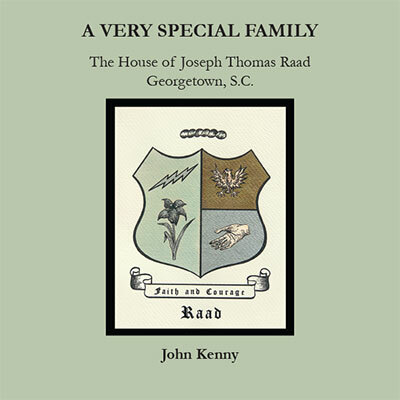 A Very Special Family - The House of Joseph Thomas Raad, Georgetown, S.C.
John Kenny embarked on a five-year research project to capture the story of his wife's extended family in his adopted hometown. The resulting photo-rich history from 1895-2017 is an immigrant story to remind us of the shining hope the United States has been to past generations, as well as their pay-back and -forward in terms of their contributions. One Lebanese family, four immigrant sons, and the lasting impact they have made in Georgetown, South Carolina and throughout the state - this collection of vignettes is a touching tribute to the American dream. 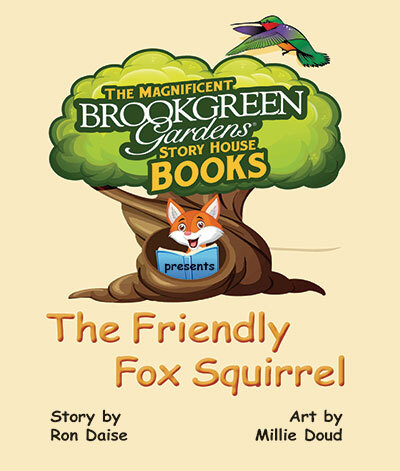 The second installment of The Magnificent Brookgreen Gardens Story House Books, written by Ron Daise and illustrated by Millie Doud, continues this Family Friendly Initiative. 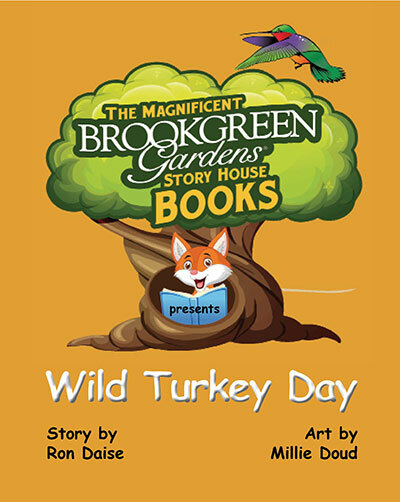 When a family visits Brookgreen Gardens during Harvest Home Weekend, the son and his best friend Sam are captivated by the antics of a wild turkey. A mysterious African American woman intones a proverb about good fortune, then vanishes. While Sam doesn't think she's lucky, further events prove she is - and a successful day (thanks to the wild turkey) is enjoyed by all. The first in a series (The Magnificent Brookgreen Gardens Story House Books) of illustrated children's stories, designed to engage, educate, and inspire all ages to appreciate the wonders of art, history, and nature. In the charming book, written by Ron Daise, Brookgreen's Vice President for Creative Education, and illustrated by artist Millie Doud, a docent and trainer at Brookgreen since 1993, a father and son come across a very communicative fox squirrel and a mysterious Native American woman while taking a weekend nature walk at Brookgreen Gardens. 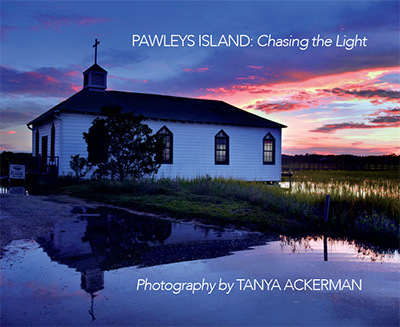 Cradled between the Atlantic Ocean and the Waccamaw River, Pawleys Island on the South Carolina coast - the town, the barrier island, and the community across a tidal creek from the island and extending west to the river - is a visual treasure trove. Through the lens of her camera, award-winning photojournalist Tanya Ackerman guides us to some of the special places where land, sky and water meet in this historic seaside resort. She captures the magical moods and splendor of sunrises, sunsets, wildlife and beach living in this stunning collection of images that speak to the eye and to the heart. Brookgreen Gardens - the legacy of Archer and Anna Hyatt Huntington - weds native plants, animals, American figurative sculpture and poetry in an "ever changing, simply amazing" marriage. At no time is this more evident than during the holiday season. In his acknowledgments, President Robert Jewell observes, "The creative energy for Nights of a Thousand Candles comes from the collaborative efforts of our entire staff and volunteer corps. Our Horticulture Department takes the lead for design and implementation, and our Collections Department adds their unique interpretation of a nostalgic family holiday event to the mix. The result is a wonderland of thousands of hand-lit candles and luminaries, sparkling lights streaming down from towering live oak trees, rainbows of colors throughout our 'garden rooms' and fun exhibits for people of all ages." The testimony to Jewell's vision is in this collection of photographs, taken by Anne Swift Malarich over the 15 years of Nights of a Thousand Candles, and in the poetry the photos inspired in Brookgreen Gardens staff and volunteers. 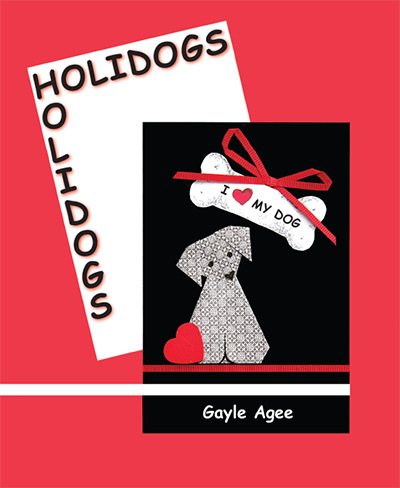 HOLIDOGS is a series of Holiday stories about dogs, for dogs, with dogs and those who love them. With playful adaptations of Holiday history and charming origami illustrations, HOLIDOGS places a new twist on the stories of old. From Christmas to Thanksgiving and all in between, each Holiday breed spins a tale of fact and wonder to spice up any storytelling time. A happy read for all ages. 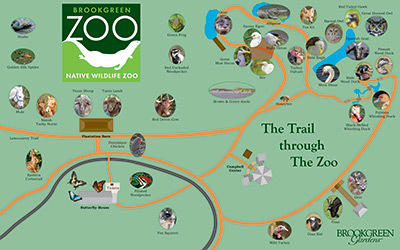 Combining an illustrated map of the Brookgreen Zoo with poems, factual tidbits, photographs and illustrations, this delightful interactive coloring book will entertain children 2-12, whether they are hunting for birds, insects and animals on site or at the kitchen table. This collection was eighteen years in the making. 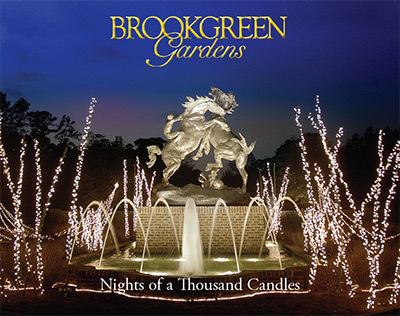 When professional photographer Anne Swift Malarich began quietly roaming the gardens in 1997 with her young son in a stroller and her camera at the ready, she launched a pictorial tribute to the national treasure that is Brookgreen Gardens. From among the 10,000 photos shot annually, the ones selected here represent her personal favorites of the flora and fauna and of the arts and crafts on display. Once the images were chosen, the staff and volunteers, as well as known community poets, were invited to select images that inspired love letters in verse or prose. Two award-winning, published poets - Susan Laughter Meyers and Libby Bernardin - joined the editorial board for the project and clarified the expectations for the book in a poetry workshop at Brookgreen Gardens in June 2014. And then, we waited to see if anyone would submit. The response was an outpouring of heartfelt creativity. By summer's end, 172 poems from 39 individuals had been reviewed and edited. Each contributing author is represented in the final work. Those entries selected for the publication range in voice from dramatic to humorous, in style from rhyming lines, free verse, haiku, and narrative poems to prose as they express the thoughts and emotions inspired by the images of Archer and Anna Hyatt Huntington's bequest. In many cases, years of personal volunteer support of Brookgreen Gardens' horticulture, sculpture conservation, animal husbandry, and guest services informed the writers' insightful works. 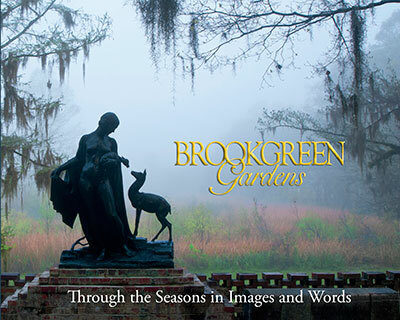 Organized by season, the photographs and poems are bookended with two essays by Robin Salmon, vice president/curator of sculpture for Brookgreen Gardens for the past forty years. Original line drawings by Millie Doud, volunteer sculpture and animal docent for twenty-two years, form grace notes in the concluding indices of the sculptors and contributing poets. "There is no way to know how many budding artists, historians, and poets have been sent down and encouraged along their chosen career paths by visits to Brookgreen Gardens. But, we do know that scores of visitors through the years have been soothed, inspired, and rejuvenated by the magical wellspring that is Brookgreen Gardens. A walk in the sculpture gardens takes away worries and fears. It is a perfect place to dream, to grieve, to celebrate, and to contemplate life's successes and losses. Archer Huntington has provided to the Brookgreen visitor his own special vision of art and nature through his verses in the gardens. And now, inspired by her beauty and tranquility, those closely connected to her have penned their tributes to the muses of Brookgreen." At home in the South, a retired and aging Jay Bluffing runs across an old magazine article that triggers the remembrance of a significant period in his life, decades ago. It's the mid-1980s and Bluffing, crushed by an incident involving his law practice, has left Kentucky and landed on the Upper West Side of Manhattan. 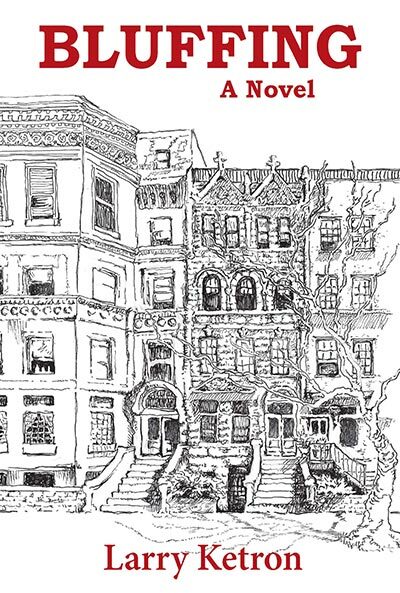 Bluffing is a look back at a New York City whose face was just beginning to change. A time when a subway token was ninety cents, Mayor Ed Koch was asking, "How am I doing?" and there was a neighborhood coffee shop or bodega on every corner. There weren't yet fences weaving all through Central Park to keep everyone off the grass, and people could jog through or around it without being run over by speeding bicycles. As he wanders the city in search of himself, his wry sense of humor intact, a chance meeting with playwright and screenwriter Marty Sequatchee throws Bluffing into a world of Off-Broadway theatre, beautiful young actresses ... and murder. Larry Ketron is an award winning playwright and screenwriter. Many of his plays have been produced in New York City and elsewhere and are published by Dramatist Play Service. Among his half-dozen film credits are Fresh Horses and The Only Thrill, both adapted from his plays. Mr. Ketron was the playwright in residence at the WPA Theatre in New York for eight years (Kyle Renick, artistic director). He has received a John Simon Guggenheim fellowship for playwriting. Bluffing is his first novel. 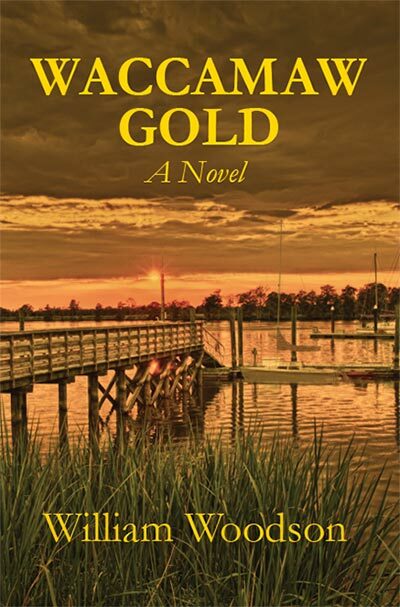 In his debut novel, Woodson brings us Molly Commander, matriarch of a powerful Southern family and one of the richest women in America - until the night her car mysteriously disappears into the Waccamaw River. Billy Commander, her grandson and closest living relative, summoned home from France for the funeral, finds himself drawn into a web of intrigue and scandal that threatens his life, as well as the lives of his protective cocoon of friends and family. Molly's death sets in motion a chain of events interwoven with the fabric of lowcountry life and the clandestine activities of the third largest bank in the country. From boardrooms and private clubs in New York and Atlanta to the lush setting of Pawleys Island and the South Carolina lowcountry, the main characters, children of privilege all, come to grips with the contemporary greed of Wall Street and the complex responsibilities placed on them by great wealth. In this 30-somethings, coming-of-age story, peopled by characters who read like old friends, birthright places Billy and his close circle at the crossroads of opposing societal forces. Will they triumph to emerge as the new generation of leadership that must become today's South? William Woodson is a native South Carolinian and was educated at Davidson College, the University of South Carolina School of Law, the University of North Carolina at Chapel Hill Graduate School of Business and the Emory University Graduate School of Law. He practiced in Atlanta for many years in the area of investments, financial management and taxation. In 1993, he moved to Pawleys Island where he became the Chief Advancement Officer at Brookgreen Gardens, a member of the Huntington Society and one of the founders of Campus Brookgreen. His volunteer activities included serving three terms as the Executive Director of the Festival of Music and Art at Pawleys Island, where he was a founding member of the Muses. The Festival honored him in 2002 by electing him to its Hall of Fame. A former member of the CLASS faculty, Woodson now lives in the Upstate where he continues his business consulting activities and is at work on his second novel.